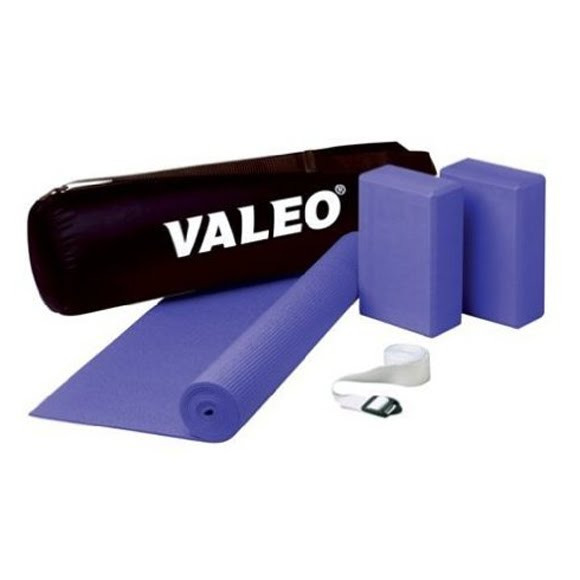 Valeo's includes two firm foam blocks, one sticky mat, and one woven cotton strap with buckle. Valeo&apos;s includes two firm foam blocks, one sticky mat, and one woven cotton strap with buckle. Two firm foam blocks 3 in x 6 in.x 9 in.